If you’re looking to enter the world of traditional archery, a good recurve bow is an excellent starting point. Recurve bows differ from the original longbow because the limbs curve away from the archer when the bow is unstrung. Because of this, the recurve bow stores more energy and delivers it more efficiently than the equivalent straight-limbed longbow. With so many option in the marketplace, what is the best recurve bow of 2017? 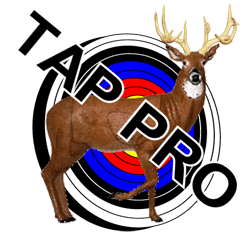 If you are looking to find the best recurve you can, this is the right place for you. We’ve tried the rest, and we’re here to tell you about the best. For 2017, these are the crème de la crème of recurve bows. 1 What is the Best Recurve Bow of 2017? What is the Best Recurve Bow of 2017? Take a look at the list we compiled of our favorite recurve bows that are available for 2017. You’ll note that the Hoyt Gamemaster II does not appear in this list due to it no longer being available for purchase. If you were to get a second hand recurve, you should give it a look. For a great look at what’s available on the market here is our top 10 recurve bow list. First this may be my choice for best recurve bow of 2017, the classic Samick Sage. This recurve bow is a gorgeous takedown, meaning the limbs detach from the riser for easy storage. What’s even better with the Sage, though, is that you can purchase replacement limbs directly from Samick or any of its distributors. That means you can increase your draw weight as you get stronger, making this one of the best bows available for those just getting started. As far as what really counts, this bow is almost silent, very accurate, and extremely powerful at the upper draw weights. The riser is dymondwood and hard maple, laminated together gorgeously. It features an off-the-shelf arrow rest, and has brass bushing preinstalled for use with a plunger, stabilizer, or sight/quiver. I’m typically inclined towards instinctive shooting, but it’s nice to be able to add the accessories if you want them. The riser’s handle isn’t wrapped, but you can easily do that yourself if you prefer. It is very good at eliminating hand shock. The limbs on the Samick Sage are hard maple laminated with fiberglass, and are lightweight while also being quite durable. Limb twist is never a problem with this bow, from my experience. The limb tips are reinforced, for use with more modern bowstrings. The bow typically ships with a regular Dacron Endless loop bow string, but many retailers offer it with FastFlight strings. More details on the Samick Sage. Click here for the latest prices on this bow. Next, we have the SAS Spirit. This is a terrific beginner’s bow, but it’s not the right choice if you plan on doing any serious hunting. In the 66-inch length, the bow is available in draw weights from 20# to 34#, which isn’t nearly strong or powerful enough for hunting more than small game. With that said, the Spirit is deadly quiet and accurate enough for bagging your share of rabbits or squirrels. The riser is made of chuglam, gmelina arborea, and beech woods, giving it a pale yellow or cream-colored appearance. These Asian trees are some of the most durable found in that locale. The handle isn’t wrapped, but it’s still comfortable enough to reduce hand cramping. I didn’t notice any hand shock when I fired it. The riser does have pretapped holes for use with a stabilizer, plunger, and a sight/quiver. The limbs are constructed from maple laminations and either black or white fiberglass, so they’re fairly standard but still gorgeous. This is a takedown bow, so the limbs detach easily from the riser for storage. Unfortunately, the limb tips do not appear to be reinforced for use with more modern bowstrings. More details on the SAS Spirit. Click here for the latest prices on this bow. A good recurve bow is often the best way to get your younger archer involved in traditional archery, and the PSE Razorback Jr is probably the best choice for that. It’s inexpensive, but built to withstand the rigors that young, enthusiastic archers will put it through. It’s also accurate and powerful enough to give a satisfying “thwack” when the arrow hits the target. The riser on the Razorback Jr is crafted from high-quality hardwoods. It features an off-the-shelf arrow rest that, unfortunately, does not come with any padding or protection. It is, however, threaded and includes bushings for a stabilizer, sight, and plunger. The limbs are also hardwood, with white fiberglass lamination. They’re durable and quite resistant to limb twist. Unfortunately, you can’t just buy new limbs to raise the bow’s draw weight as your young archer gets stronger. The Razorback Jr is my choice for best recurve bow for a youth in 2017. Click here for the latest prices on this bow. Here we have a traditional recurve that’s not so traditional. The Martin Saber is designed to reduce hand shock, and it’s absolutely gorgeous if you aren’t inclined more towards the standard fare of wooden risers matched with laminated limbs. It’s quiet, vibration-free, and powerful enough at the upper draw weights to take on just about anything. The riser is cast from aluminum available with a camouflage pattern, and features two integrated Vibration Vortex VEMs in the riser along with a Thermal V protective dampening grip for a vibration-free shot that has almost no hand shock. It has bushings preinstalled for installing a stabilizer, sight/quiver, and plunger. The limbs are laminated wood and fiberglass, providing a smooth draw that still sends your arrow hurling downrange with authority. This is a takedown bow, so you can easily remove the limbs for storage. No options to purchase stronger limbs if you’re ready to move up a notch; that seems to be a feature only Samick offers, honestly. More details on the Martin Archery Saber. Click here for latest prices on this bow. This one is a legend in recurves, and has been since it first released back in 1950. The Bear Archery Grizzly is a gorgeous, value-priced one-piece recurve that has the power, accuracy, and performance you need for the hunt. The riser is crafted from red hard rock maple FutureWood. FutureWood is a technology created by Bear Archery in the 1970s, then reintroduced in 2013 by popular demand. In this manufacturing process, the wood’s natural pores are vacuum-filled, and then the handle is baked. When finished, it’s a material that has the natural beauty of wood, but none of the potential pitfalls — it can’t warp, crack, or chip. The riser features a crowned, cut-on-center arrow shelf. The shelf is padded with a bear hair rest and leather side plate, offering terrific protection of the finish of your bow. The handle isn’t wrapped, but it doesn’t need to be — there’s almost no hand shock as it is. Unfortunately, the bow does not include pre-drilled holes for accessories. If you want to add them, you’ll have to have your bow technician drill and tap the riser for you. The limbs are manufactured from maple backed and faced with black fiberglass. They’re very durable, and my only complaint with them is that they aren’t removable. On the plus side, the limb tips are reinforced for use with modern bowstrings, and the bow comes with a Dacron Flemish string. More details on the Bear Archery Grizzly. Click here for the latest prices on this bow. This next bow, another Martin Archery classic, is also a takedown bow. It is attractively painted in a camouflage pattern, allowing it to blend in with your surroundings when you’re afield for the hunt. The Martin Jaguar recurve bow is available in draw weights that make it perfect for hunting game of any sort, and it’s very accurate. It’s also short enough to allow you to easily maneuver it in or out of your tree stand or ground blind. The riser is cast aluminum, painted in a camouflage finish that I’ve yet to see chip or peel. It has a nice arrow rest, and the handle features a rubberized, textured grip. The riser has bushings preinstalled for your sight/quiver, plunger, stabilizer, or an after-market arrow rest. It does suffer from a bit of hand shock, and this riser is only available for right-handed shooters; lefties are left out in the cold. The limbs are laminated maple and fiberglass, and the bow is available in black only. They draw very smoothly, but have the power and precision you need for the hunt. Since the bow is takedown, it’s easy to remove the limbs for storage. I’ve been using a Jaguar for about three years now, and I’ve never noticed any limb twist. More details on the Martin Archery Jaguar. Click here for the latest prices on this bow. In 1967, Bear Archery released the first Super Kodiak, a bow that Fred Bear personally used for hunting African lion, cape buffalo, Alaskan polar bear, and the British Columbian grizzly bear. It’s a gorgeous creation, polished to a high gloss finish. What’s more important, though, is that it’s quiet, powerful, and deadly accurate. There are two riser choices for the Super Kodiak. The three-piece riser is constructed from black phenolic plastic, with a brown Bolivian rosewood accent stripe. It’s then capped with more Bolivian rosewood. The two-piece riser, on the other hand, is made of brown and black hard rock maple. Both risers feature a large-profile leather side plate and bear hair arrow rest, and both utilize Bear Archery’s proprietary FutureWood technology. The limbs are made with maple laminate, backed and faced with high strength black fiberglass. The limb tips are handcrafted, reinforced, and layered with black and white fiberglass. You can easily use a modern bowstring with the Super Kodiak, and the bow even comes with a DynaFlight 97 FLemish twist string. The Super Kodiak is definitely in the running for best recurve of 2017. More details on the Bear Archery Super Kodiak. Click here for the latest prices on this bow. When you’re looking for a traditional recurve bow for hunting, you might not think about PSE. 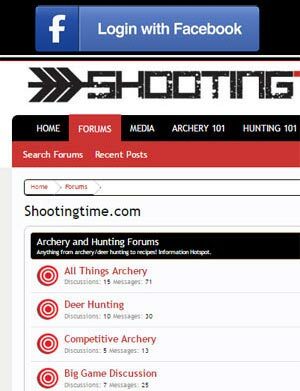 After all, the company is more well-known for its competition recurves and compound bows. However, it does have a long history of good-quality hunting bows, and the PSE Night Hawk is an excellent choice for entry-level hunters. It’s well-made, quiet, accurate, and powerful at the upper draw weights. The riser is crafted from hand-selected hardwoods, and gorgeously finished. It features an off-the-shelf arrow rest, but no protection. You’d have to add that yourself. The good news is that the PSE Night Hawk is ready for your favorite accessories — it’s threaded for a plunger and stabilizer, and even includes the bushing for the stabilizer. The takedown limbs are also crafted from hand-selected wood, backed with clear or black fiberglass for added durability. Unfortunately, they aren’t reinforced for use with more modern bow strings, but this is a budget bow. It’s still available in some great draw weights, from 20# to 50# for right-handed shooters. The bow is also available for lefties, but only in draw weights from 30# to 50#. Inexpensive entry to traditional bowhunting. More details on the PSE Night Hawk. Click here for the latest prices on this bow. Another PSE creation, the Coyote 2 is the upgrade of the bowyer’s classic recurve. It melds modern technology with traditional bow making standards, the result being a gorgeous, lightweight bow that’s highly accurate, has almost no hand shock, and is as powerful as you want it to be. The riser on the Coyote 2 is diecast aluminum, painted with Mossy Oak Break-Up camouflage finish. The arrow shelf is unprotected, but the riser is drilled and tapped for a stabilizer, sight, and plunger. Alas, this bow is only available for right-handed shooters. The limbs are fiberglass-laminated maple, and are very durable. This is a takedown bow, but you can’t purchase new limbs to raise the draw weight. This is a hunting recurve, so it’s short enough to maneuver easily in your ground blind or tree stand. The bow itself is very durable, built to last. The limb tips don’t appear to be reinforced, unfortunately. This PSE Classic will remain as one of the best recurve bows on the market. More details on the PSE Coyote 2. Click here for the latest prices on this bow. Now we come to another bow from Southland Archery Supply, the Maverick. This one-piece recurve is a terrific choice for the entry-level bowhunter who wants to stick with tradition. It’s strong, accurate, and deadly powerful. One drawback is that this is designed specifically as a hunting bow, so it’s not available in the lower draw weights that beginners might need to start at. It’s also only available for right-handed shooters. The riser is crafted from makore, zebra, and chulgam woods, making a gorgeous laminated combination with great grain detail and a unique look. Unfortunately, if you don’t prefer instinctive shooting, the Maverick doesn’t come predrilled for installing accessories like sights, stabilizers, or plungers. It also tends to transmit more hand shock than I care for. The limbs are strong fiberglass with maple laminations. The limb tips are reinforced for use with more modern bowstrings, but the bow comes with a standard string. More details on the SAS Maverick. Click here for availability on this bow. Thanks for reading up on the best recurve bows for 2017. Hopefully, you found one that you love, and will join the fun that is traditional archery. For more information on the recurve bow and the other bows of archery visit our “Different bows of archery” page. I'm one of those odd ducks who is into both technology and the outdoors, especially hunting. When I'm not playing around with iPhones and other gadgets, I'm at the shooting range, archery range, or out in the wilderness hunting. I've preyed on just about everything from rabbits & squirrels up to the big game, like Cape buffalo. Contrary to what the article says you can easily buy additional limbs in different weights from Martin or multiple bow shops. For the night hawk your able to order limbs to add draw weight. Cant order directly from manufacturer but you can order them from any bow shop.